Game guide and partial walkthrough for video game Might & Magic X: Legacy. This guide contains: Character Classes, Advanced Classes and Races, Skills & Skill Trainer Locations, Solved Puzzles & Riddles, Hirelings List, Relics List, Quests List, Grandmaster Quests, Advanced Classes Promotion Quests, Shrines and some Lore. 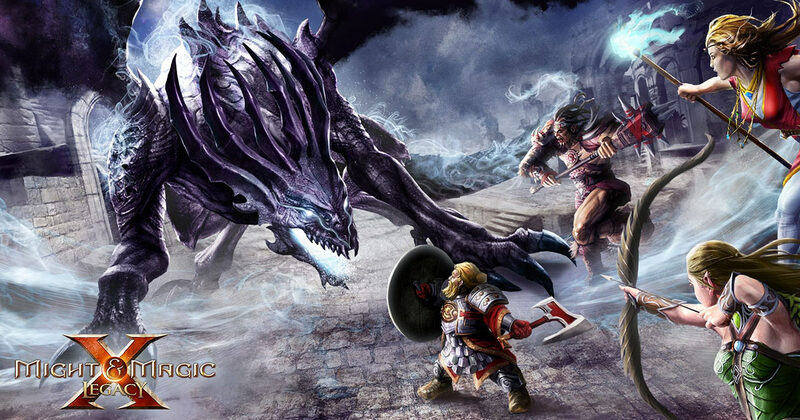 Might & Magic X: Legacy its Classic cRPG Video Game by Ubisoft. Skills and Skill Trainers Locations for Might & Magic X: Legacy Video Game. When you defeat an enemy or solve a quest, all party members will gain a certain amount of XP. When exceeding an XP threshold a character reaches the next level. With every new level a character receives attribute and skill points you can distribute freely. You have to visit a trainer and become Expert, Master or Grand Master. 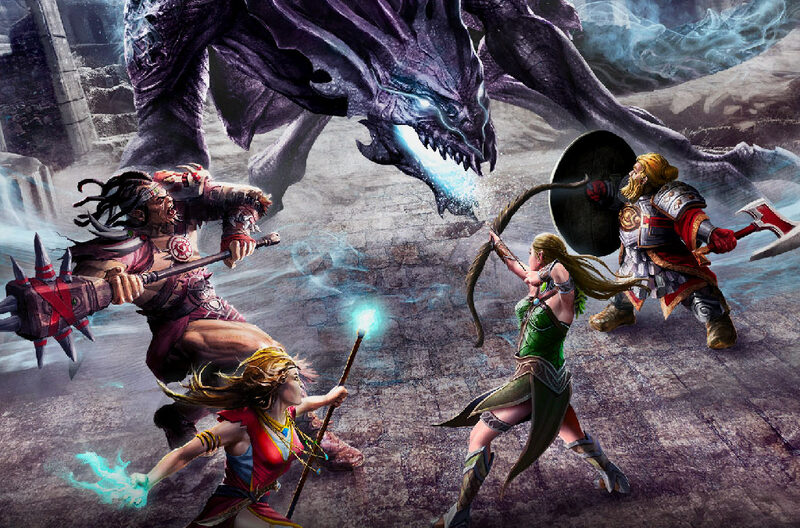 Hirelings List for Might & Magic X: Legacy, Some NPCs can be employed to accompany the party in order to provide individual services, others may want to join your party for the duration of a certain quest. You can only have a maximum of two companions, but you can fire a hireling in order to have a quest NPC be able to join the party. Solution for Lord Kilburn geography of the Peninsula riddle, Solar Sigil Riddle, Flute Riddle, Erebos Riddle, Code Riddle, Tomb of a Thousand Terrors Riddle and other riddles and secrets. Relics are very powerful items that you can find in the game world. Relics raise their level of experience while using. Some Grandmaster Levels requires you to make Quests before Trainer raise the level. Every Character Class Advanced Class got Promotion Quest which is needed to advance. To receive the blessing you need to visit proper Shrine at proper day of week. This story begins with what we now call Uriel's Deception. During the fabled Elder Wars; wars that once pitched the children of the Light against the children of Darkness, Uriel, the great Archangel, had vowed to avenge his family... slaughtered by the greatest warrior and tactician of the Faceless... Erebos... the Master of Assassins. For centuries, Uriel, consumed by hatred, planned his revenge. Shortly before the Second Eclipse, Uriel and his Inquisitors provided proof that the Faceless were plotting to rekindle the fires of the ancient wars. Emperor Liam Falcon, an ambitious man, easily enthralled by the Archangel's righteous determination, declared a Holy War against the children of Darkness. And Uriel's own brother, the Archangel Michael, esteemed and feared general of the ancient Angel host, was brought back from the dead to lead the onslaught. But Uriel's plan had one fatal flaw: he underestimated the courage and resourcefulness of the Humans he had set out to use in his machinations. There were some who saw through his lies, seeing Uriel's proof as clever fabrications. The murders and sabotages of which the Faceless had been accused... were his own doing. "Angels cannot lie", or so the saying goes... But there's nothing written saying that they have to tell the truth. " Uriel escaped the justice of the courts... but not the judgment of the Dragons. Uriel, Michael and the Emperor Liam perished in the bloody fires of the Second Eclipse. But a legacy remained, continuing to poison the Empire. When the true extent of Uriel's Deception was revealed, the scandal nearly ripped the once great and Holy nation apart. Distrust grew between the Empire and its allies. Dissentful whispers could be heard throughout the hallways of the Imperial court. And outside of the Empire's borders, the colonies and protectorates were clamouring for independence. In an effort to calm the troubled waters, Liam's heiress, the young Empress Gwendolyn Falcon, proclaimed a series of reforms that were immediately unpopular with the more conservative nobles. These tensions came to a head in the Agyn Peninsula. Once a jewel of the Falcon crown, the great port of Karthal, on the Savage Sea, was threatening to secede and join the loose coalition of the Free Cities. Skirmishes were multiplying between the rebels and imperial garrisons, brigands were stalking the trade routes, and pirates were raiding the coasts. This is a story of a peculiar group of adventurers, who had just set foot for the first time on the Peninsula on a quest to fulfill the dying wish of their mentor. They were called Raiders... but would soon be known as Legends. A party member falls unconscious when his/her Health drops below zero. You can restore the health of unconscious party members by spells or by visiting a healer. Once the Health exceeds zero an unconscious character will wake again. Party members can get poisoned. This is one of several conditions a character can receive from traps, hostile spells or abilities. There are different spells and potions to remove certain conditions, or you can visit a Healer to cure your party. Use an antidote potion to cure a poisoned party member. A party member can suffer from incapacitating conditions. These render the character unable to perform any actions, receive XP or benefit from resting until the condition has been removed. You lose the game if no party member is able to act anymore. Every party member has his own spellbook that contains all his spells. Spells do harm to one or more enemies, strengthen the party, or heal single party members. In order to learn a spell in an arcane library a party member needs to have a certain rank in the skill of the corresponding school of magic. The Spellbook contains all skills and the actions of the currently selected party member. You can click on a portrait to select another character's spellbook. You can click a spell or action to perform it, or you can drag it onto the action bar of the selected character to assign it to the desired quick action slot. You can launch ranged attacks with party members who are equipped with a bow or crossbow against enemies in a straight line in front of the party. When targeting a group of enemies that are at least two tiles away you do not need to select a dedicated target. Ranged attacks only deal a reduced amount of damage in close combat. As soon as at least one enemy is located on a tile adjacent to the location of the party they both are engaged in melee combat and cannot move away from each other. You can still turn around freely to attack other enemies in other directions. When the threat indicator turns red at least one enemy is aware of the party and will try to assault you. It also means that, after you have completed your turn (by moving the party or by doing an action with each party member) you will need to wait until all enemies have made their move before you can act again. In your turn during combat each character can perform an action. The active character is marked by the blue flame above the portrait. The default turn order is from left to right, but you can skip to another party member that hasn't had his/her move yet by clicking his/her portrait. Objects like levers or chests may contain traps, that are triggered when the party crosses a threshold or enters a certain tile. The party is unaware of traps unless they've cast an appropriate spell or have a hireling that provides "Clairvoyance". Then all traps in the vicinity of the party become visible. A party aware of a trap being triggered will be permitted a disarm attempt. A party member of your choice will need to face a challenge of Might, Magic or Perception to succeed. Traps in the centre of a tile cannot be disarmed, they have to be avoided. Hidden passages and secret levers riddle Ashan. The party is unaware of such secrets unless they've cast an appropriate spell or have a hireling that provides "Spot Secrets". Then all secrets in the vicinity of the party become visible and can be interacted with. Not every all levers require your explicit interaction by pulling them. Sensors on thresholds between two tiles and pressure plates in the centre of a tile can trigger effects like opening or closing doors just by the movement of the party. Objects like pressure plates, doors and levers can be logically connected in complex ways to form all kinds of riddles that reveal epic treasures or open blocked passages once they are solved. Just look out for hints and quest objects on the same map - all riddles can be solved on site. Levers and buttons can be interacted with when you are close to them in order to trigger individual effects like opening doors. Often levers are placed near the object they operate, but they can be far away from them as well. Sometimes during your adventures you will find key objects like gears, notes or actual keys. They may be required in order to successfully handle objects like pulling levers or opening doors. Notes can also contain hints that help you solve riddles. Keys are only relevant for the map where you found them. Every time you move onto another tile game time advances. The amount of time passing per step is greater in the outside world than in cities and dungeons. In the outside world you might encounter different enemies depending on whether it is day, or night. Being a completely open world you will sometimes reach areas in the peninsula that are beyond the current capabilities of your party. If enemies seem too strong to defeat just keep on solving quests elsewhere and return once the party has gained a few levels. The quest log in your Journal keeps track of all the quests you have started. If you forget what you are supposed to do, here you will find the objectives you need to complete in order to advance. In addition, the Journal contains a bestiary with intelligence on any enemies you have encountered. The mini-map shows the immediate vicinity of your party. By default the mini-map is obscured. By exploration you will uncover the content of each tile you have entered and partially uncover all adjacent tiles. Clicking the mini-map or the map button in the bottom left corner will open a bigger map. Weapons can get worn when a strike is blocked by an opponent. Shields can get worn when you block critical strikes. When a party member is the target of a critical strike an armour item may get worn. Items, which are worn have decreased stats. Visit a smith to have your worn items repaired. Items of low quality are more likely to get worn, whereas relics can never get worn. You can use Mana potions to restore some of a character's Mana, and Health potions to restore some of a character's Health. You can drag-and-drop a potion from the shared party inventory to the target character portrait to consume it directly. Alternately you can use the action bar. Relics are legendary items of many different types. Every relic has an XP bar similar to those of the party members. While equipped a relic receives the same amount of XP as the character using it. When the XP bar is full the relic reaches the next level, unlocking better stats or adding powerful enchantments. Any new equipment scavenged on your travels is added to the shared inventory of your party. Equipment items can be attached to dedicated equipment slots of a character if he/she has the skills to use or wear them. Hover the cursor over the item to compare its stats with the stats of the currently equipped equivalent. If your party hasn't rested for a long time it is in danger of getting weak or feebleminded because of exhaustion. While the threat indicator isn't red you can rest to refresh all party members who are not incapacitated. You need to rest when party members are exhausted. Resting consumes 1 unit of supplies and advances the time by 8 hours. Health and Mana of all party members who are not incapacitated is restored, and they recover from being feebleminded or weak. You can restock your supplies at inns. If the Health of a character drops below a threshold defined by the character's vitality, he dies. Dead characters can only be resurrected by strong light Magic spells or by Sisters of the Church of Elrath.